Hyperion Stud carefully selects stallions from around the world in order to produce the highest quality offspring we can. Here is a collection of stallions we have used in our program in years past and today. Also known as Lassergut Cash and Carry is becoming on of the best stallions of our time with his exceptional number of top level offspring. Caches was a highly modern and athletic stallion who possessed exceptional movement through is body across the ground and over the jumps. Livello I is a modern representative of the Holsteiner breed’s proven L blood. He has a strikingly typey and expressive head with big eyes showing the Arabian influence. Uriko embodies the modern show jumper type. 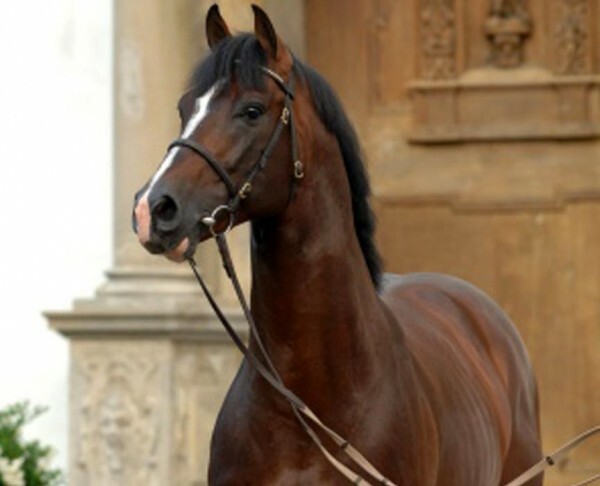 At 1.70 m, the long-legged stallion falls inline with the Holsteiner Verband breeding stallion requirements. Untouchable is another international top stallion used by Hyperion Stud. 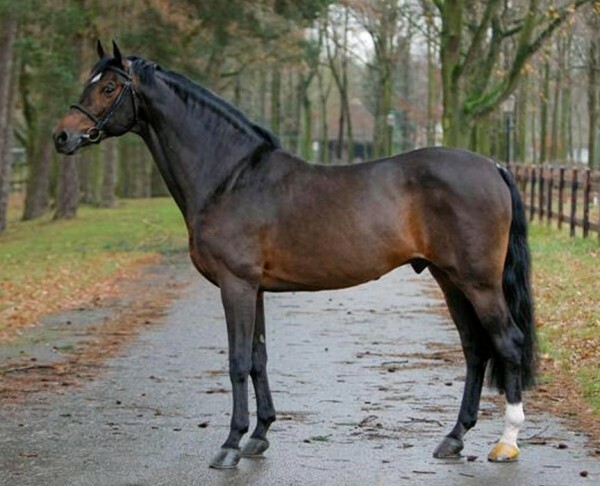 He is beautifully bred with influences from Selle Français, KWPN and Holstein bloodlines. Undoubtedly one of the greatest stallions of the last century. 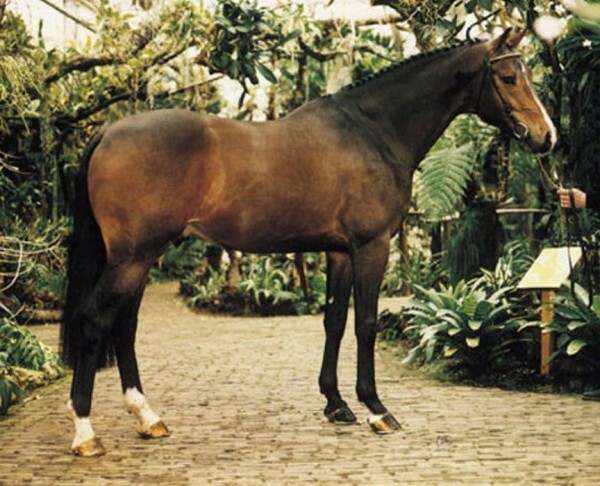 Cardento is found in thousands of pedigrees today and is sire to numerous offspring jumping at the top of the sport to this day. 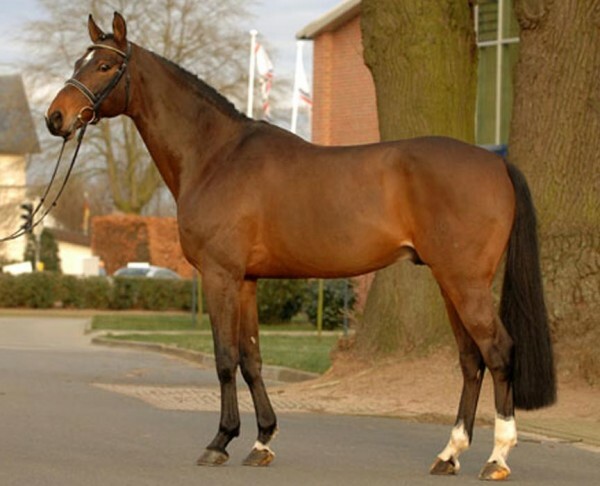 KWPN Stallion Pacific won the Stallion Test in 2000 he received for jumping 9, 8, 8.5 and 9 and for gaits 7.5, 7, 8.5 and 7.5. This made him the best jumper with the best all around scored making him the Champion of the stallion competition. Contefino’s sire, Contender, is Holstein’s leading sire. Contender has dominated the Federal National breeding rating for many years. 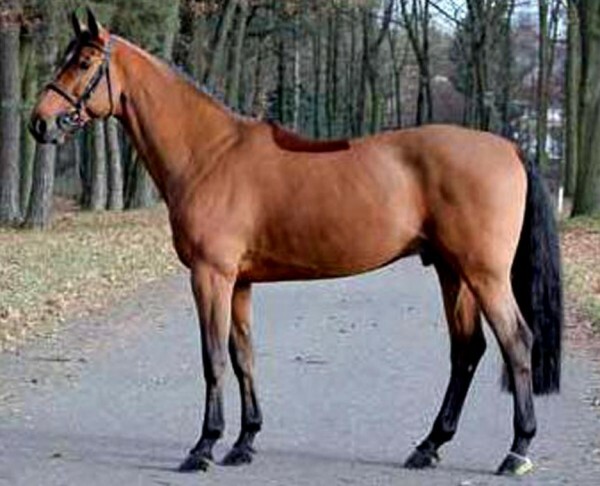 Contefino’s dam is sired by Corofino. As young Casall already stood out at the pre-selection for the stallion grading, he was purchased by the Holsteiner Verband from the owner syndicate Hennings and Mehrens. 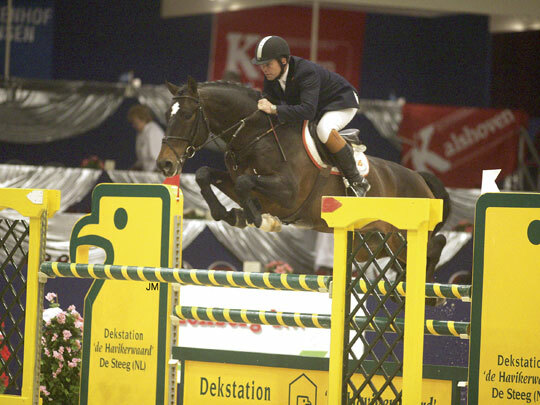 In 2004, Casall was fi rst shown in jumper classes and qualifi ed for the Bundeschampionat. 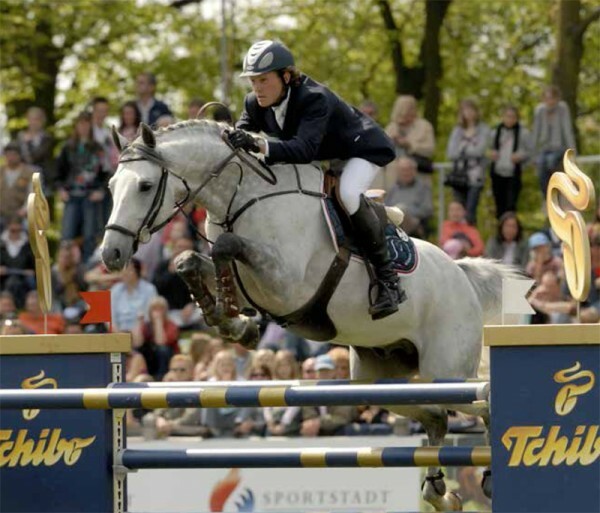 In 2005, Rolf-Göran Bengtsson got the ride on him and won the Schleswig-Holstein 6-year-old state championship at a superior score of 9.5. 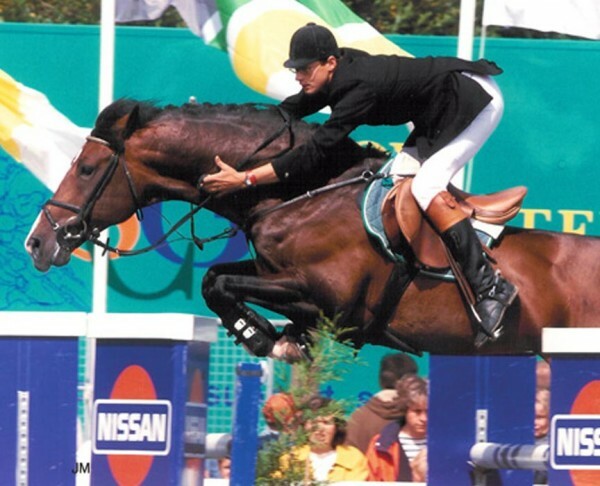 Quinar’s sire, Quidam de Revel, took team bronze and fourth place individually at the 1992 Olympic Games in Barcelon. 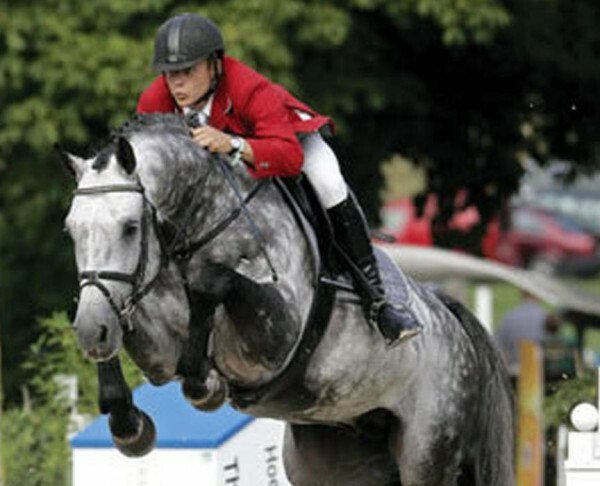 Ten Quidam de Revel offspring participated in the 2002 World Championships in Jerez, Spain. 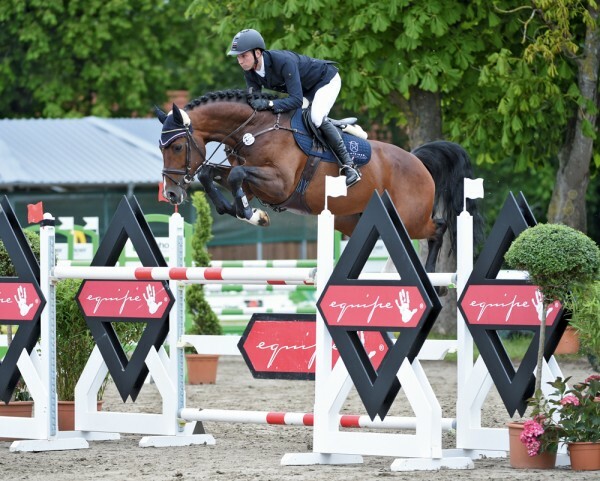 Quinar himself finished his stallion performance test with the top index of 142.03 points in jumping and was soon successful in advanced S level international show jumping competitions under Jos Lansink. After initially breeding in Holstein, he then briefly bred at Zangersheide stud in Belgium, but soon returned to Holstein. 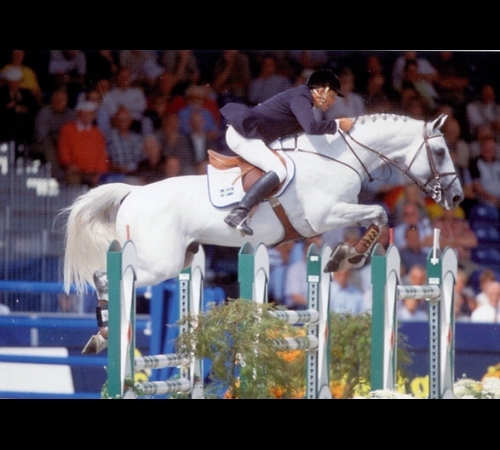 Quinar is the sire of 5 world champion jumping horses. 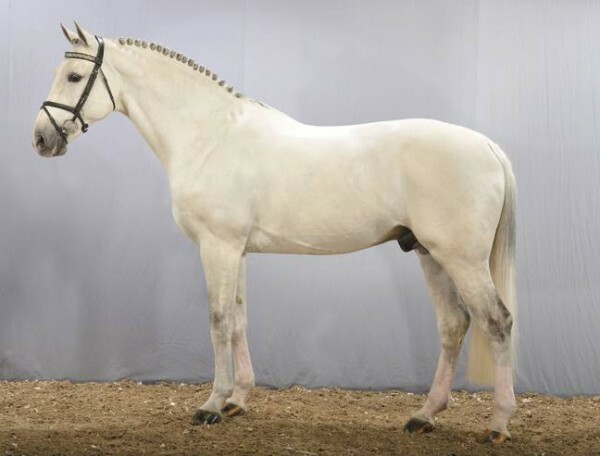 Quinar has two crosses to the great Alme’, through the sire Jalisco B on the paternal side and Aloube Z on the maternal side. The stamm of Quinar is 1020, also the stamm of Carthago. Ariadus is by Accord II(Ahorn) out of a Latus II (Landgraf)/Laertes mare. Ariadus’ granddam is the dam of CAPITOL, legendary sire from Holstein. 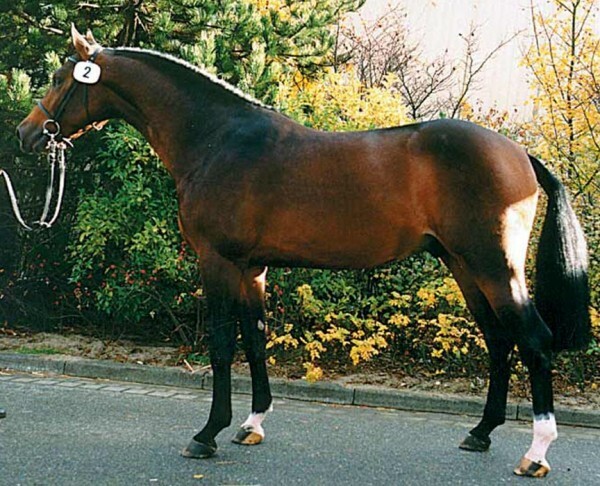 Ariadus was 4th at the 1995 stallion approvals in Neumunster. He is a Premium rated stallion with 54 bonits. Tikina produced a beautiful colt Funtimes HS in 2010. 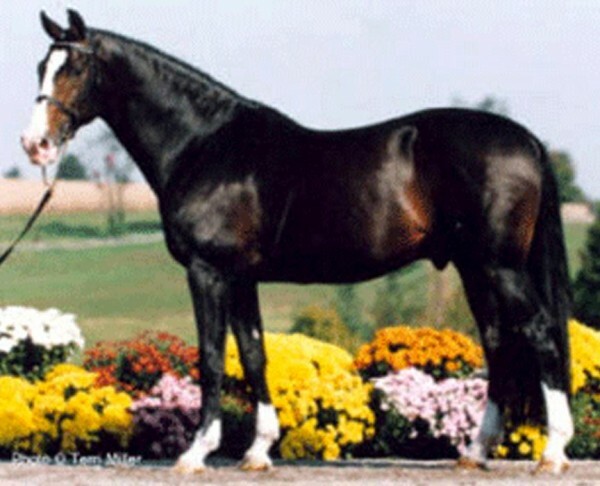 Born in 1988, this stallion was champion of his stallion test as a 3 year old. He has sired many approved daughters who are out competing in the top levels of the sport. 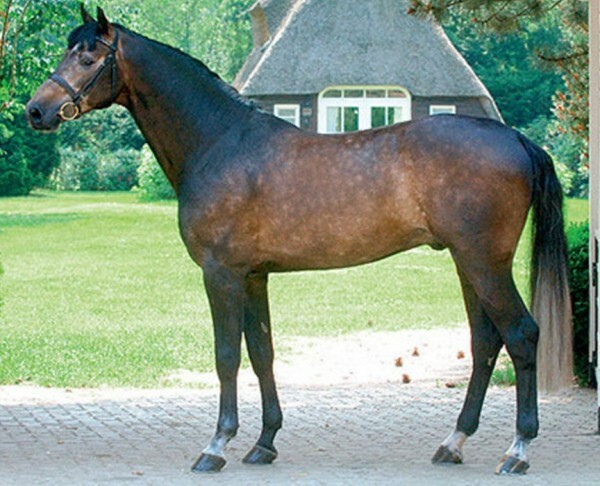 Calato Z, after an absence of 12 years, the Holsteiner stallion Calato Z has returned to Studfarm Zangersheide. With good reason, too, for the now 22-yr-old stallion has proved to be one of the best sons of Capitol I in breeding. Okasa Fortuna is booked to Corland for a 2010 foal. 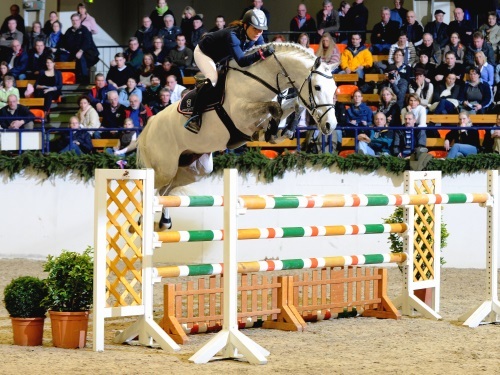 Born in 1989, this stallion has had an extensive International career with many top placings at premier competitions, including a top ten finish at the 2001 European Championships. Judgement ISF, by Consul, was bred to jump and that’s what he’s been doing successfully for most of his life. 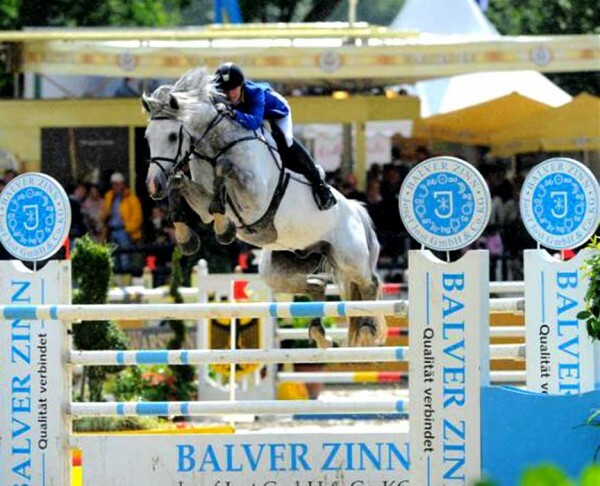 Ridden by Olympic Team Gold Medalist Beezie Madden, the duo has been one of the most successful pairings in show jumping history. To date they have won over 1.5 million dollars. In 2005, Judgement thrilled the Show Jumping world by winning the largest purse in Grand Prix jumping competition, the $1,000,000 CN International held at Spruce Meadows in Canada. 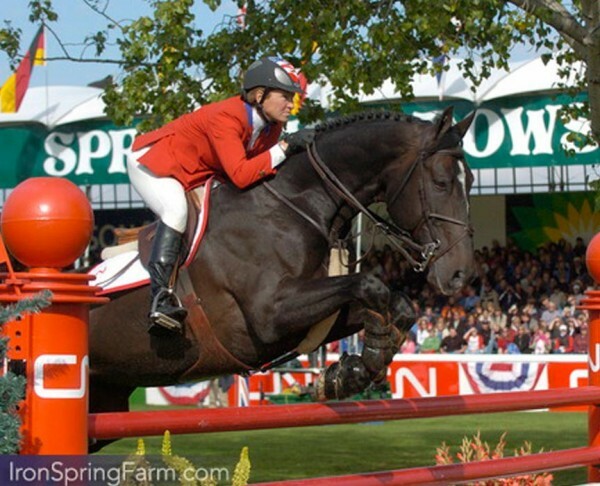 In 2006 and 2007 the team won the Derby at Spruce Meadows and in 2006 they took home the Animal Planet Cup from the Syracuse Invitational. Limbus is an attractive and particularly noble Landgraf I son. 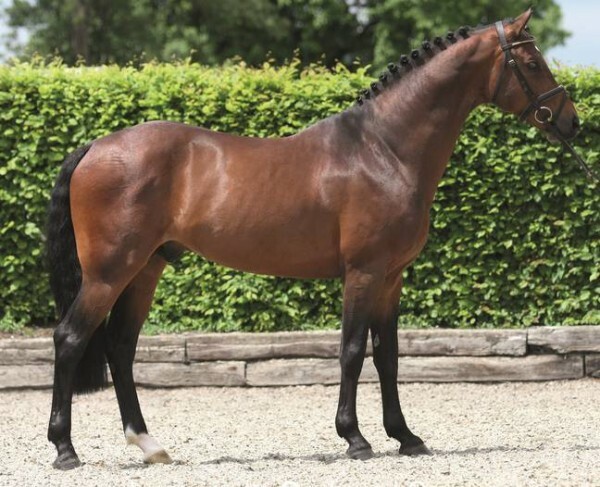 Also on the dam’s side influenced by the TB sires Rantzau and Marlon and due to the great amount of TB blood elements, he is an interesting option to achieve refi nement. He stood at the well-known Pageroe stallion station upon the river Schlei during his fi rst covering season. In 1995 and 1996, Limbus was stationed at Gestüt Dobel in Baden-Württemberg before returning to Holstein in 1997. Cartani is the sire of our 2006 mare Winterhaven’s Elan. Cartani placed internationally, won National Grand Prix’s and is the sire of several approved stallions and champion foals. Consul is the sire of our 2008 colt Davinci and our 2009 filly Evanthe HS. Consul, by Nimmerdor, continues to be one of the leading sires at Iron Spring Farm and is known for producing remarkable athletes. Consul has sired nearly 70 first premium foals, 52 star mares and geldings, 9 Keur mares, 1 licensed son, and 1 approved son, Judgement ISF. Voltaire is the sire of our 2009 filly Escapade HS. Voltaire was really the first of the super star performance stallions to go on and prove himself equally as important as a breeding stallion. In the competition arena, he won at the highest level, winning Nations Cup classes at Calgary, Stockholm, s’Hertogenbosch, Lanaken, Helsinki, Wiesbaden and Wembley. In 1989 he won the Grand Prix of Berlin. Ikoon is the sire of our 2009 filly Equinox HS and our 2009 gelding Ezekiel HS. 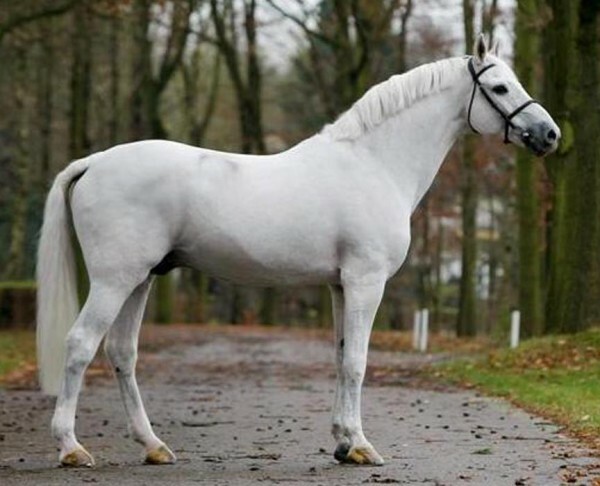 Ikoon is a son of the legendary Libero H and is a stallion with both the bloodlines and performance record that breeders look for. 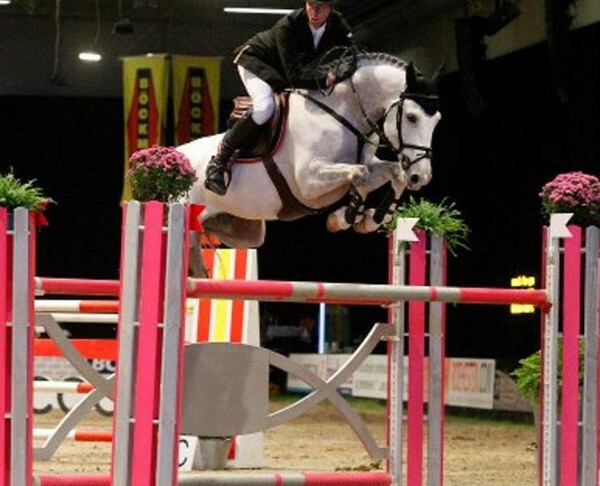 Libero H showed in the Nations Cups with Jos Lansik and is by the great Landgraf, one of the founding stallions of the Holsteiner Breed. Ikoon is out of a Nimmerdor mare. 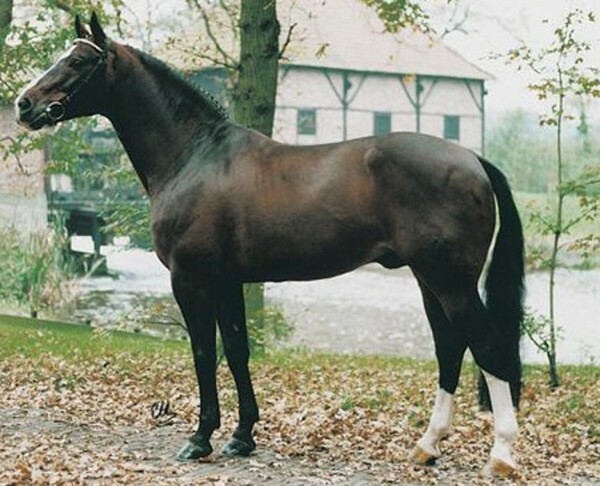 Nimmerdor was one of the most influential stallions on the Dutch breed . 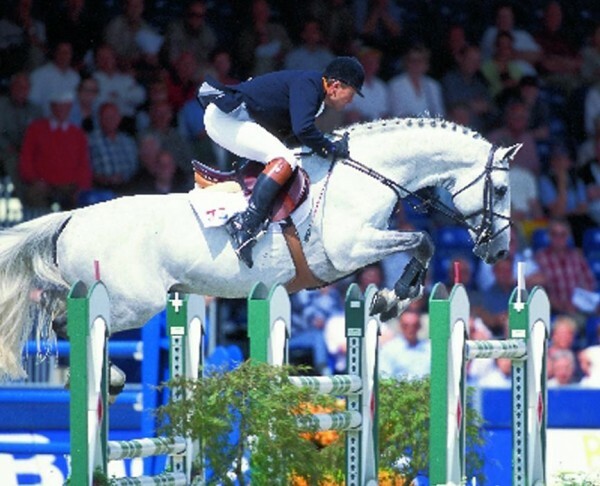 Before being imported to Canada in 2001, Ikoon competed in International Show Jumping in Europe with great success.